It’s been a long week at work already and it’s only Wednesday. 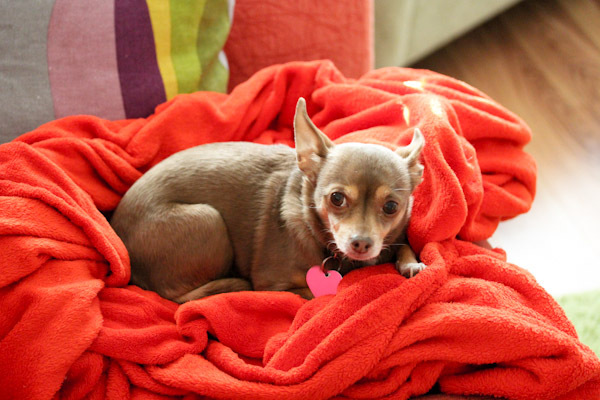 Poor Leela has been giving me the stink eye since I got home for not paying enough attention to her. While Smokey is still enjoying the extra hour of evening sunlight. I guess I’ve been on a dressing salad rut lately, not getting too creative with other recipes. Hopefully that will change soon as things settle at work. But a huge salad is a nutrient-dense comfort food for me when things get crazy. And with the range of ingredient options, I never get tired of them. 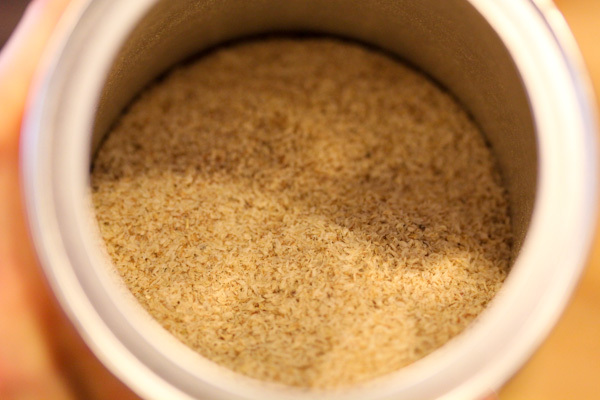 Tonight I grabbed an ingredient I’ve been slightly obsessed with lately – psyllium husk. 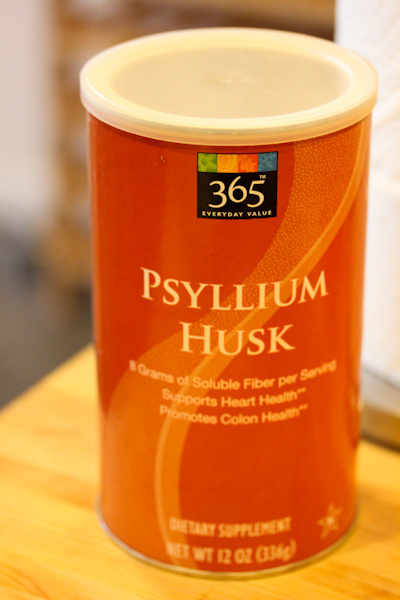 It’s the husk of the psyllium seed and used as a simple whole ingredient dietary fiber supplement that supports heart and colon health. It has a unique characteristic of absorbing water and making dressings, sauces, and smoothies thicker and heartier. Lately I’ve been adding a teaspoon or two to smoothies and it makes them seem considerably thicker and more filling. 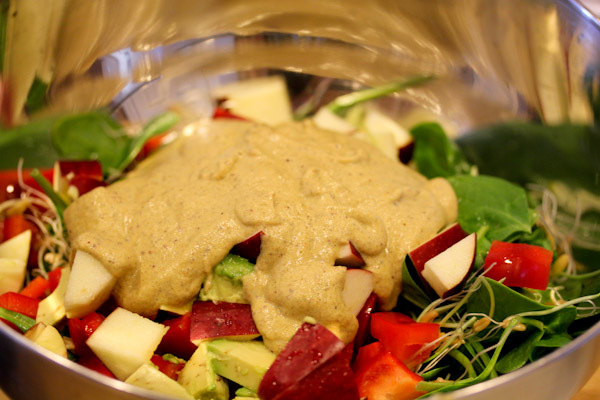 So tonight I added a tablespoon to a punchy apple curry dressing I created and the results were very thick and creamy. The dressing is very thick and gloppy, perfect for coating salads or to be used as a dip. 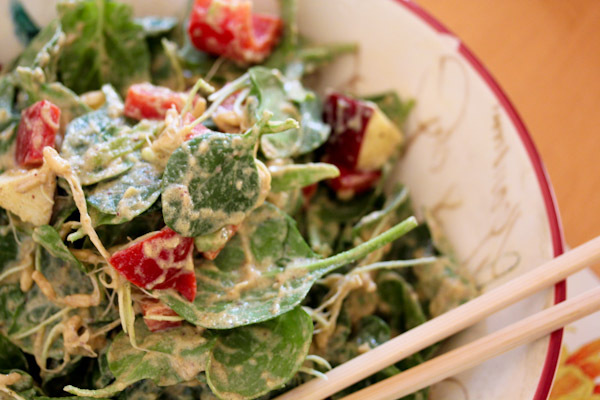 In this case I coated a salad of spinach, sprouted kamut berries, avocado, chopped apple, and chopped red pepper. And it added a wonderfully creamy curry flavor that was nicely sweet with a slight spiciness. And the creamy texture was perfect for the salad complimenting the crunchy texture with a smooth and bold flavor. OMG! LOL – I nearly spit out my tea when I started reading this post! Cracked me up because Dale and I joke how our ‘kids’ give us the stink-eye, too! OMG! HA! I love the facial expression on Leela’s face! 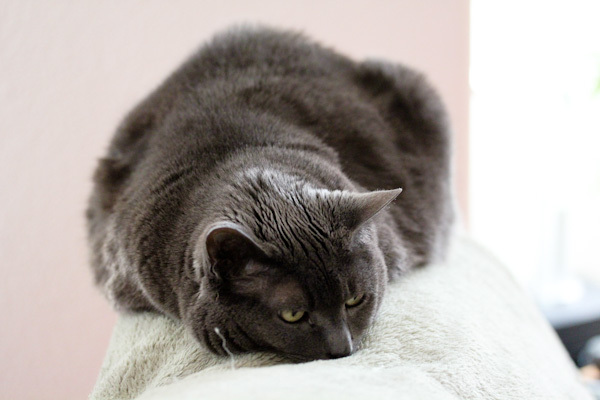 Smokey is so sweet, too! I totally forgot to take pics of the kitties last night! DOH! Maybe tonight! I’ll have to check out 365! Thanks for letting me know about it! 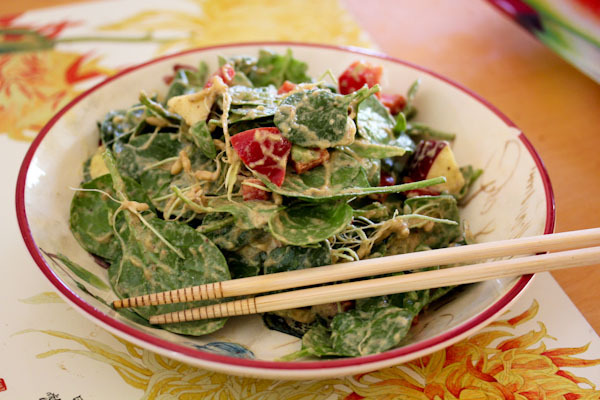 The Apple Curry Dressing sounds and looks amazing! It’s finally the weekend! :D Awesome dressing, I love curry so much. 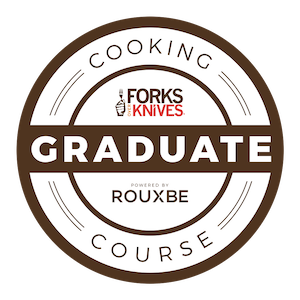 Can’t wait to try! Have a great one.